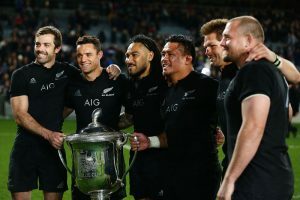 New Zealand remains at the top of the Men’s rugby rankings followed by Ireland and Wales who are placed at 2nd and 3rd position respectively. England jumped from the 6th to 4th position to replace Australia. Tonga also upgraded their rank and are now placed at the 14th position. Some of the noteworthy downgrade in rankings were of Australia, South Africa, Georgia and Singapore. New Zealand women top the Women’s Rugby ranking followed by England and France who are placed at 2nd and 3rd position respectively.